“Go, go, go!” I giggled as I photographed Dad and Niko, the fox-like pup, playing a game of chase in their backyard. 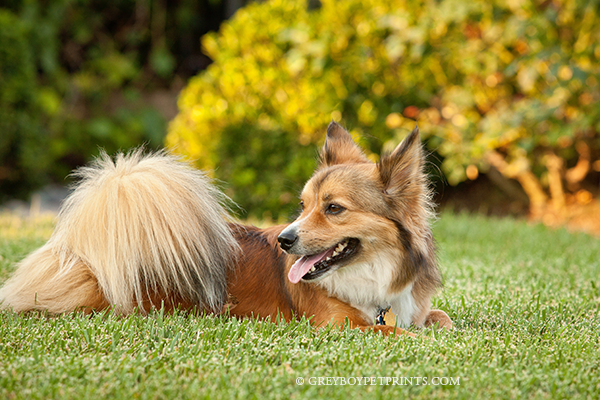 For this dog photography session in Laguna Niguel with dad, we started with posed portraits on the chaise lounge. Then I asked dad what they like to do best together. He said, “Oh definitely a game of chase!” So, that is when I dialed up my shutter speed and let them zoom around the yard. Niko and dad were all smiles! I had photographed Mom and Niko earlier this year at a mini portrait session at the wonderful boarding and doggie daycare, Pet Suites in Aliso Viejo, CA. Mom said Niko and dad needed a turn and wanted me to specifically take pictures of the two of them together in their yard. Even though Niko’s parents were very busy as they live in two different locations, we still managed to get a date on the calendar. And with only one reschedule! I’m so glad they have these favorite images to enjoy! 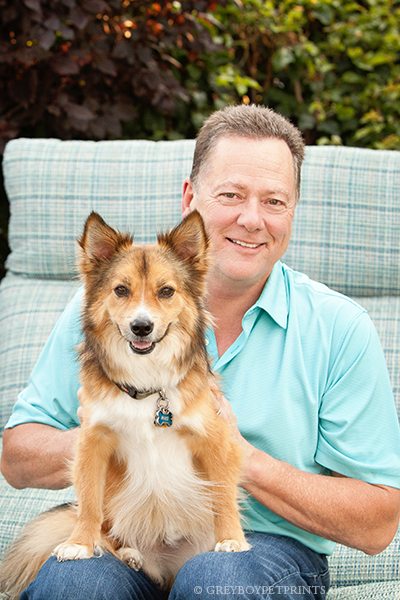 At the end of their dog photography session in Laguna Niguel, I snapped a couple more images of dad and Niko just being themselves. Lastly, I made my way over to the table to open up my laptop and see what we had gotten. 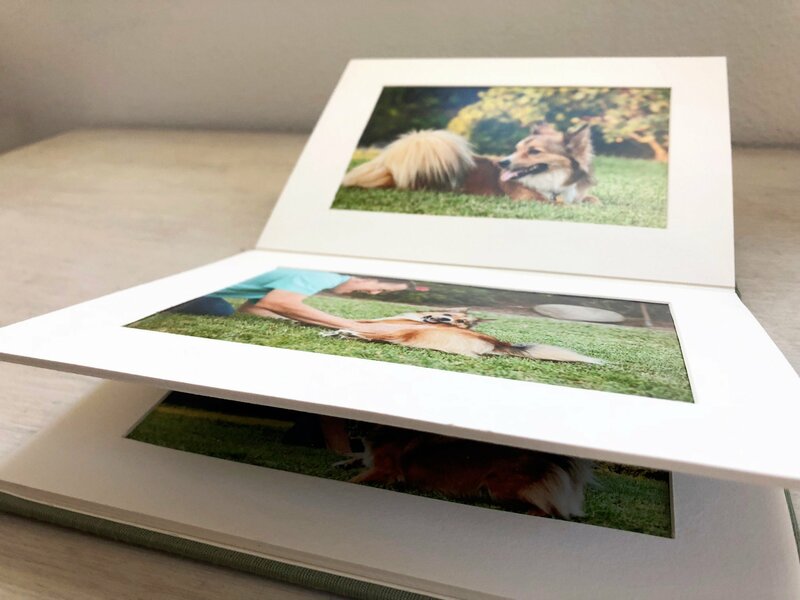 (Clients see pictures immediately after their pet photo session with Greyboy Pet Prints.) As we were settling in, getting excited to view the portraits, we noticed Niko sitting on his grassy hill in the sunset lighting. Mom said that was his very favorite spot. I snapped a couple portraits there and we pulled them all up to take a peek. Here is the favorite shot! What a handsome boy, right?! 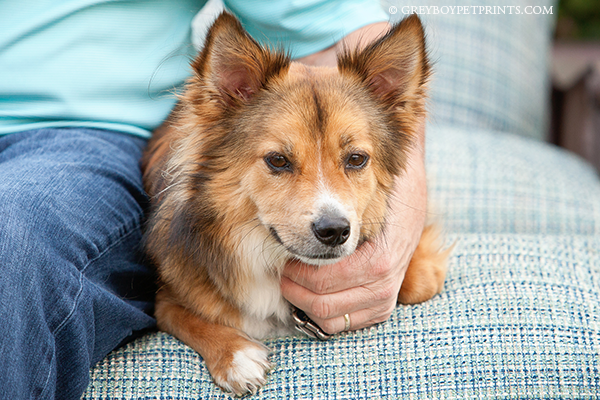 THAT is why I like to photograph pets and their people at home in their favorite location. Everyone is relaxed and in their normal element looking like themselves, doing their favorite things. Even during a busy season of life for them, we froze a few moments in time to document the very loved Niko and his favorite things to do with Dad. Niko and his parents will enjoy their portraits for years and years in an album with 9 of their favorite portraits. Their artwork is currently being wrapped and ready to delight! Click HERE for Pet Photography Info in Southern California (what to expect, how it works, what it costs, etc.). Photograph your loves and print to remember, yes, even when life is busy!